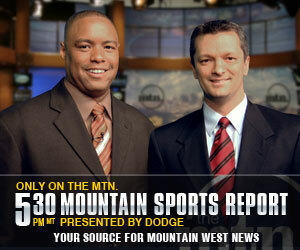 MW Sports Network, LLC d/b/a The Mtn. ("Network," "we," or "us") operates the www.themtn.tv website (with all subdomains thereto, the "Site") and your use of the Site signifies your agreement with the following terms and conditions (the "Terms"). To the extent you access, use, subscribe to or purchase any goods or services from Network available at or through the Site, you acknowledge and agree that you are fully subject to Network's Purchase Policies and such other applicable terms and conditions of purchase and subscriptions (collectively, "Purchase Policies"), each as amended from time to time, which are hereby incorporated into these Terms. To the extent there is a conflict between any provision of these Terms and any provision contained within the Purchase Policies, the provision contained in the Purchase Policies shall govern and control solely as it relates to the purchase or subscription and solely to the extent of such conflict. In order to access certain features at the Site, including, without limitation, subscribing to the Streaming Service, as defined in the Purchase Policies, you may be required to register for a Site account ("Account"). If you opt to register for an Account, you agree to: (a) provide true, accurate, current and complete information about yourself as prompted by the registration form; and (b) maintain and promptly update such information to keep it true, accurate, current and complete as permitted through the functionality of the Site. You acknowledge and agree that Network will have no liability associated with or arising from your failure to maintain accurate information about yourself, including, without limitation, your failure to receive important information and updates about the Site. If Network has reasonable grounds to suspect that the information you provided on the registration form or otherwise is untrue, inaccurate or incomplete, Network may suspend or terminate your Account and refuse any and all current or future use of the Site (or any portion thereof). You are responsible for all use of your Account under any user name or password by any person or entity and for ensuring that your Account complies fully with the provisions of the Terms. You are responsible for protecting the confidentiality of your user name and password. Trademarks: The trademarks used at the Site are the property of Network, its licensors and other third parties. These trademarks may not be copied, imitated or used, in whole or in part, without the prior written permission of Network or the respective rights holder. In addition, all page headers, custom graphics, button icons and scripts are service marks, trademarks and/or trade dress of Network, and may not be copied, imitated or used, in whole or in part, without the prior written permission of Network. Copyrights: All materials on this Site, including, without limitation, Network's logos, designs, text, graphics, software, other files and the selection and arrangement thereof (the "Content") are protected by copyrights which are owned or licensed by Network or otherwise used with permission by Network. You may not reproduce, perform, create derivative works from, republish, upload, post, transmit or distribute in any way whatsoever any Content from the Site or any other website owned or operated by Network without the prior written permission of Network. Any modification of the Content, or any portion thereof, or use of the Content for any other purpose constitutes an infringement of Network's copyrights and other proprietary rights. Use of the Content on any other website or other networked computer environment is prohibited without prior written permission from Network. You further agree to indemnify Network for any claims or suits arising from your use of any Community Feature. Network is not responsible for any material posted in any Community Feature. Network is merely providing access to such material in the Community Feature as a service to you and the Community Feature shall be used only in a noncommercial manner (for entertainment purposes only). With respect to any materials posted for inclusion in such Community Features by other parties, such parties are responsible for the reliability, accuracy and truthfulness of such material and such matters are beyond the control of Network. Similarly, Network has no control over whether such material is of a nature that users will find inoffensive, tasteful and otherwise acceptable and expressly disclaims any responsibility for such material. Just as when you obtain materials in any other setting, you should exercise appropriate discretion, good judgment and caution in accessing materials in any Community Feature and in taking any actions based upon material in such Community Feature. Accordingly, you will bear all risk associated with any such material that you access. Network reserves the right, but not the obligation, to monitor and delete any postings deemed inconsistent with its policies. Network also reserves the right to, at its discretion, terminate the registration of any user of any Community Feature who violates any of the Terms. If you are aware of any such material posted on the Site, please contact us at legal@comcastsportsnet.com. Please provide as much detail as possible, including a copy of the underlying material, the location where Network may find it, the reason(s) such postings should be removed and a statement, signed under penalty of perjury, certifying the accuracy of the information you provide to us. To the extent any notice is based on an alleged copyright violation, please follow in the instructions set forth in the section entitled "Copyright Agent for Copyright Infringement Claims (Digital Millennium Copyright Act." Although Network will do its best to monitor materials in the Community Feature, in no event does it assume any particular obligation to do so or liability for failing to either monitor the Community Feature or remove specific material. By transmitting bulletin board postings, e-mail, messages, suggestions, ideas or concepts (each, a "Submission"), whether unsolicited or solicited (for example, when registering to use message boards), to any Community Feature, you are granting Network a royalty-free, fully paid, nonexclusive, perpetual, unrestricted, worldwide license to publish, transmit, perform, display, create derivative works from and otherwise use the Submission(s) for any purpose, including, but not limited to, advertising and promotional purposes, in any media, now or hereafter known. No credit or compensation is due to you for such use. Network also has the right, but not the obligation, to use your name (and image or likeness, if provided in connection with a Submission), city and state in connection with broadcast, print, online or other use or publication of your Submission(s). All Submissions become the unrestricted licensed property of Network and may be edited for use. You warrant and represent that you own or otherwise control any and all rights in and to the Submission(s) and that public posting and use of the Submissions by Network will not infringe or violate the rights of any third party in any manner. Network may at its own discretion monitor and prescreen Submissions, and while Network and its designees reserve the right, but not the obligation, in their sole discretion to refuse, move, edit or delete any Submissions without prior notice, in whole or in part, that is deemed to violate these Terms or is otherwise objectionable, you agree to evaluate, and bear all risks associated with, the use of any Submissions, including any reliance on the accuracy, completeness or usefulness of such Submissions. You acknowledge that the Site is "public," and in addition to the license granted to Network below, other users will have access to your published Submission(s) and might copy, modify or distribute it. Not to post any copyrighted material unless the copyright is owned by you or by Network. In addition, you agree that you will comply with all applicable local, state, national and international laws and regulations, including, but not limited to, United States export restrictions, that relate to your use of or activities on this Site. Network makes no claim or representation regarding, and accepts no responsibility for, the quality, content, nature or reliability of websites accessible by hyperlink from this Site or websites linking to this Site, including, but not limited to, the websites if Network affiliates and other third parties. The linked websites are not under the control of Network and Network is not responsible for the content of any linked website or any link contained in a linked website or any review, changes or updates to such websites. The inclusion of any link does not necessarily imply affiliation, endorsement or adoption by Network of the Site or any information contained therein. When leaving the Site, you should be aware that the Terms and our other policies no longer govern, and therefore you should review the applicable terms and policies, including privacy and data-gathering practices, of that website. By using this Site, making a purchase, subscribing to the Streaming Service and/or transmitting to it any Submission(s), you agree to indemnify Network, its affiliates, subsidiaries and related companies, and each of their respective officers, directors, parents, partners, employees, agents and distributors, for any and all claims, damages, losses and causes of action arising out of your breach or alleged breach of these Terms. THE SITE, ITS CONTENTS AND ANY PRODUCTS OR SERVICES PROMOTED, MARKETED, AND/OR SOLD BY NETWORK OR OTHERS ARE PROVIDED, TRANSMITTED AND DISTRIBUTED "AS IS" WITHOUT EXPRESS OR IMPLIED WARRANTIES OF ANY KIND, INCLUDING, BUT NOT LIMITED TO, WARRANTIES OF TITLE, IMPLIED WARRANTIES OF MERCHANTABILITY OR FITNESS FOR A PARTICULAR PURPOSE. WITHOUT LIMITING THE GENERALITY OF THE FOREGOING, NETWORK MAKES NO WARRANTY: (I) THAT THE SITE OR ITS CONTENTS WILL BE UNINTERRUPTED OR ERROR FREE; (II) THAT DEFECTS OR ERRORS IN THE SITE OR ITS CONTENTS WILL BE CORRECTED; (III) THAT THE SITE AND ITS CONTENTS WILL BE FREE FROM VIRUSES OR OTHER HARMFUL COMPONENTS; (IV) AS TO THE QUALITY, ACCURACY, COMPLETENESS AND VALIDITY OF ANY INFORMATION OR MATERIALS ON THE SITE; OR (V) THAT TRANSMISSIONS OR DATA WILL BE SECURE. Where applicable law does not allow the exclusion of certain warranties, the foregoing exclusions may not apply to you. The materials provided in this Site are for entertainment, educational and promotional purposes only. User may not rely on any information and opinions expressed in it for any other purpose. Neither Network, its affiliates, subsidiaries and related companies, nor any of their respective officers, directors, parents, partners, employees, agents and distributors, are responsible or liable for any loss, damage (including, but not limited to, actual, consequential or punitive), liability, claim or other injury or cause related to or resulting from any information or materials posted on the Site. IN NO EVENT AND UNDER NO CAUSE OF ACTION, INCLUDING, WITHOUT LIMITATION, NEGLIGENCE, SHALL NETWORK OR ITS AFFILIATES BE LIABLE FOR ANY DAMAGES, CLAIMS OR LOSSES INCURRED (INCLUDING, WITHOUT LIMITATION, COMPENSATORY, INCIDENTAL, INDIRECT, SPECIAL, CONSEQUENTIAL OR EXEMPLARY DAMAGES), HOWEVER CAUSED, AND UNDER ANY THEORY OF LIABILITY ARISING IN CONNECTION WITH: (I) THE SITE, INCLUDING, WITHOUT LIMITATION, THE STREAMING SERVICE; (II) THE USE OR INABILITY TO USE THIS SITE INCLUDING, WITHOUT LIMITATION, THE STREAMING SERVICE; (III) THE PURCHASE OR USE OF ANY PRODUCTS OR SERVICES AVAILABLE THROUGH THE SITE, INCLUDING, BUT NOT LIMITED TO, THE SAFETY OR FUNCTION OF ANY PRODUCT; (IV) UNAUTHORIZED ACCESS TO OR ALTERATION OR LOSS OF YOUR TRANSMISSIONS OR DATA OR OTHER INFORMATION THAT IS SENT OR RECEIVED; (V) ERRORS, SYSTEM DOWN TIME, NETWORK OR SYSTEM OUTAGES OR FILE CORRUPTION OR SERVICE INTERRUPTIONS; OR (VI) OTHERWISE UNDER THESE TERMS, EVEN IF NETWORK OR ITS REPRESENTATIVES ARE ADVISED OF THE POSSIBILITY OF SUCH DAMAGES, CLAIMS OR LOSSES AND NOTWITHSTANDING ANY FAILURE OF ESSENTIAL PURPOSE OF ANY LIMITED REMEDY. NOTWITHSTANDING ANYTHING TO THE CONTRARY CONTAINED HEREIN, NETWORK'S LIABILITY TO YOU FOR ANY CAUSE WHATSOEVER, AND REGARDLESS OF THE FORM OF THE ACTION, WILL AT ALL TIMES BE LIMITED TO THE AMOUNT PAID, IF ANY, BY YOU TO NETWORK FOR ANY PRODUCTS, SERVICES OR INFORMATION SUPPLIED BY NETWORK THROUGH YOUR USE OF THE SITE. Network will not be liable in any amount for failure to perform any obligation under these Terms if such failure is caused by the occurrence of any unforeseen contingency beyond its reasonable control, including, without limitation, Internet outages, communications outages, fire, flood or war. Network may, in its sole discretion, terminate or suspend your access to all or part of the Site, including, but not limited to, any Community Feature on the Site, for any reason, including without limitation, your breach of these Terms. In the event of termination or suspension of your access to the Site, the restrictions regarding Submission(s) appearing on the Site, and the representations and warranties, indemnities and limitations of liabilities set forth herein, will survive any such termination. You agree that Network shall not be liable to you for any termination of your use of or access to the Site. Network may, in its sole discretion, terminate, change, modify, suspend, make improvements to or discontinue any aspect of the Site or any products available through the Site, temporarily or permanently, including the availability of any features of the Site or access to any parts of the Site, at any time without notice to you, and you agree that Network shall not be liable therefore. This Site is controlled, operated and administered by Network from its offices within the United States of America. Network makes no representation that materials on the Site are appropriate or available for use at other locations outside of the United States and access to them from territories where the contents or products available through the Site are illegal is prohibited. You may not use the Site or export the content or products in violation of U.S. export laws and regulations. If you access this Site from a location outside of the United States, you are responsible for compliance with all local laws. You represent, warrant and covenant that: (a) you have the power and authority to enter into and to agree to these Terms; (b) you are at least thirteen (13) years old; (c) you shall not use any rights granted hereunder for any unlawful purpose; and (d) you shall use the Site only as set forth in the Terms. The section titles in these Terms are used solely for the convenience of you and Network and have no legal or contractual significance. The Terms constitute the entire agreement between Network and you with respect to your use of the Site. Any cause of action you may have with respect to the Site must be commenced within one (1) year after the claim or cause of action arises, notwithstanding any statutes of limitation to the contrary. Any failure by Network to enforce or exercise any provision of the Terms or related right shall not constitute a waiver of that right or provision. Nothing in these Terms will be construed as creating a joint venture, partnership, employment or agency relationship between you and Network, and you do not have any authority to create any obligation or make any representation on Network's behalf. You may not assign these Terms by operation of law or otherwise, without Network's written consent. Subject to the foregoing, these Terms will be binding on, inure to the benefit of, and be enforceable against you and Network and their respective successors and assigns. �2010 Comcast Sports Management Services, LLC. All rights reserved.